Livestock provide food and nutrition for the community, while also giving them tangible assets with which they can improve their livelihoods. Cows: We have 4 cows, two of which are adult cows to produce milk. Milk brings nutrition and sustenance. 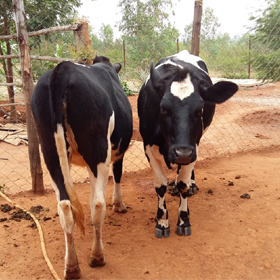 Today, the cows are providing a stable income for one family (shepherd and his wife) and is a source of soil nutrients via manure to assist small scale cropping activity. We have developed a biogas system which gives us manure (fertilizer) for our orchard; greenhouses; outdoor gardens as well as cooking gas for the shepherd and his wife. Biogas: Biogas is produced through anaerobic (without oxygen) digestion of manure slurry, resulting in the release of methane gas. The gas can then be captured and safely stored underground to fuel a domestic cooking stove. Biogas systems reduce greenhouse gas emissions by preventing methane gas from manure from being released into the atmosphere. 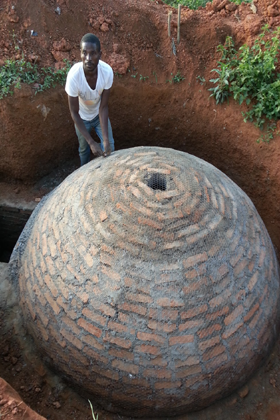 They also contribute to the conservation of natural resources by replacing wood-based cooking systems. 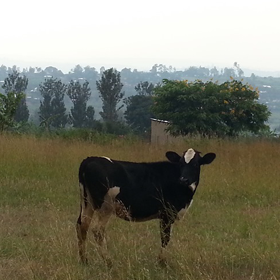 Biogas systems are ideal for Rwandan farmers who own dairy cows, because they allow them to harvest energy for cooking at a very low cost. Rabbits: Rabbits are easy to manage, require little space, breed prolifically, and are a good source of protein. The breeding of domestic rabbits, has become a boon to many communities in most districts across Rwanda. A family with 100 rabbits will never cry for food or other needs like students’ uniform and health insurance. We have rabbits which reproduce fast and we have distributed several rabbits to the parents of our preschoolers. 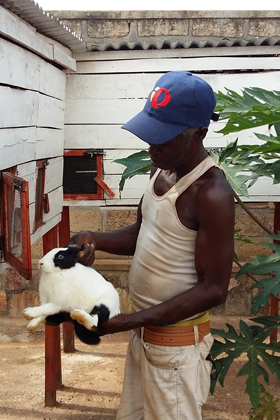 We also plan to continuously sell some of the rabbits for sustaining our rabbit farm.